First of all, you gotta carry water. I find a water bladder to be well worth its weight. I can carry just as much water in bottles, but the major perk of the water bladder is that I can sip on the go. The hose is a reminder to keep drinking. I can drink while I walk without slowing down. Bottles have weight too, so for me the weight of a bladder is a non-issue. 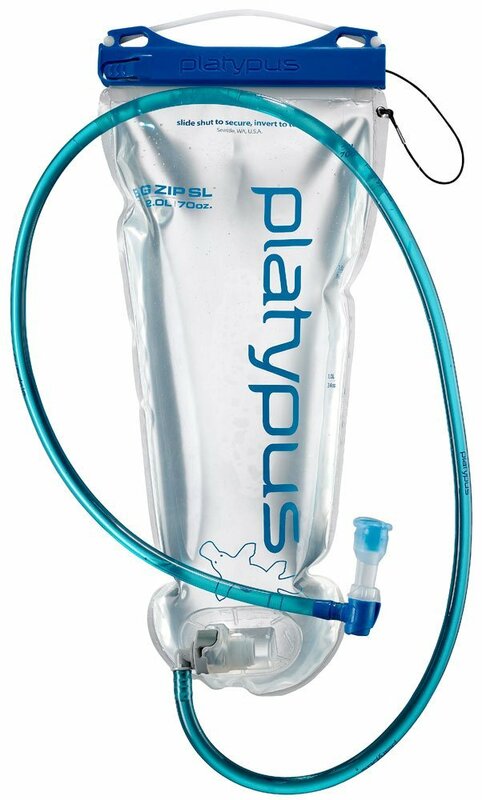 There are two most popular brands of water bladders, Platypus and Camelbak. 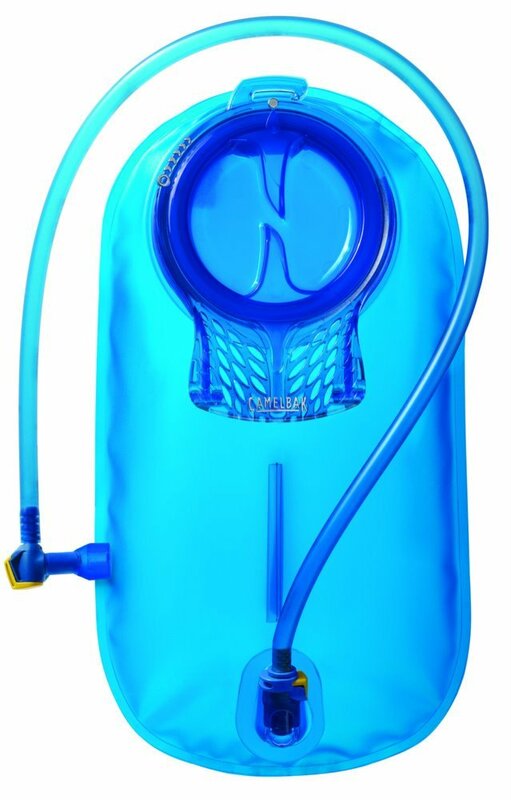 The ideal water bladder has yet to be invented. No matter which you choose, you will eventually have to swap out the bite valve because it will get really gross. Either that or you have to clean it diligently, and on the trail, that just isn't gonna happen. Bite valves cost a few bucks. There are many ways to ensure your water is safe for you to drink. There are so many options that I can't go into them all, but I will show you what we have used. I have been relying on Steripen since 2008 or earlier. They use UV light to break down the DNA of any bad stuff that would make you sick. The Steripen comes in a nice padded case to keep it safe. *It is battery-operated, and as such, I would never rely exclusively on it. The batteries are weird and hard to find, so I order them in bulk. They cost several dollars per pair but they last 10 days in the summer and longer in the winter. *If the water is silty, you're gonna end up drinking those floaties. It's possible to eliminate some with a bandanna, but . . . floaties. *It does not work in freezing cold water. I mean water at 32 or 33 degrees. It works great in cold water. But relying on it in winter. . . eehhhhhh . . . I always carry a little bottle of iodine tablets with me. It costs about $6, can be found at outfitters or even big box stores, and is a great backup. When water looks particularly sketchy, I Steripen it and use iodine. *For a short-term trip, it's the cheapest option. *There is a waiting period of about 30 minutes to let the iodine to its thing. If you're really thirsty, 30 minutes is a VERY long time. Another product I once used was AquaMira, which is a liquid that you put into your water to purify it. There are similar pros and cons with AquaMira. This summer, Bart and I are trying out the Sawyer Squeeze Mini Filter. It cost $20 and weighs a couple ounces (!!!) plus the bag. So you fill the bag with water and squeeze it and it squirts out clean water! We'll let you know how it goes. Update: It went well. We had a couple yucky water sources and the Sawyer cleaned the water and we didn't get sick, so it must have worked. I still prefer the Steripen, but there are times and places where a Steripen is not a great choice (dry season, desert) so I'm happy to have this as a backup. A great thing about two people hiking is that we can take more stuff. We'll be hiking with a Steripen, a Sawyer Mini, and iodine. We like water. Finally, no matter what you do, sometime you're probably going to come across a water source that doesn't taste great. Maybe it's just tannin in the water, maybe it's just a little yucky. When that happens, the best thing in the world is to have some tea or juice packets. The ones in the picture are not the greatest kinds (hence why they have been sitting in my food bag for a year), but even the kinds without extra vitamins are a blessing when you come to a yucky water source. Juice packets help me stay hydrated by encouraging me to drink more. And in the summer, that is a very good thing.